The Salvation Army, which is a charitable evangelical Christian organization that provides aid and services to the needy, is denying that they discriminate against anyone. 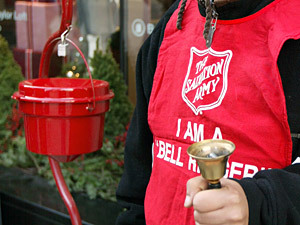 The Salvation Army claims that their services are available to all who qualify, without regard to sexual orientation. They go further to say that there isn’t a request for details concerning sexual orientation although those who receive benefits must qualify. Gay-rights advocates have been contending that the organization has been noted as lobbying for “anti-gay” policies and legislation. In 2004, for example, the Salvation Army threatened to close all their soup kitchens for the homeless in New York to protest the city’s decision to require vendors and charities doing business with the city to adhere to the state’s civil rights laws forbidding discrimination based on sexual orientation.